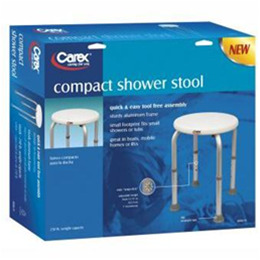 Ideal for narrow tubs and showers where a regular chair won't fit - making it great for use in RVs, boats or trailer homes. A rust-proof frame made of anodized aluminum provides years of dependable use. 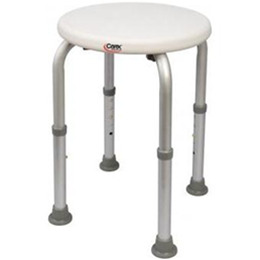 The 13" wide seat adjusts in height to provide a custom fit and features legs with slip-resistant rubber tips to grip the tub floor and provide a stable base. Tool-free assembly. Height adjusts from 13.5" to 20.5". Weight capacity is 250 lbs.